The beautifully designed Victoria super deep 2 tap hole single ended bath. Made from sanitary grade cast acrylic that is stain and scuff resistant and colourfast. 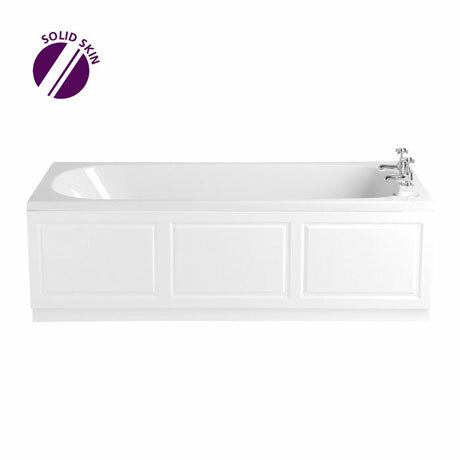 The bath has a reinforced wooden baseboard, encapsulated under a thick layer of glass fibre for added strength and a timber rim that supports the edge of the bath which makes it solid and durable.